I’m Every Woman Leadership Conference 2019 – Info Coming Soon! Wear White! Bring a friend! Join us for a fun day of empowerment, encouragement, socializing & learning! 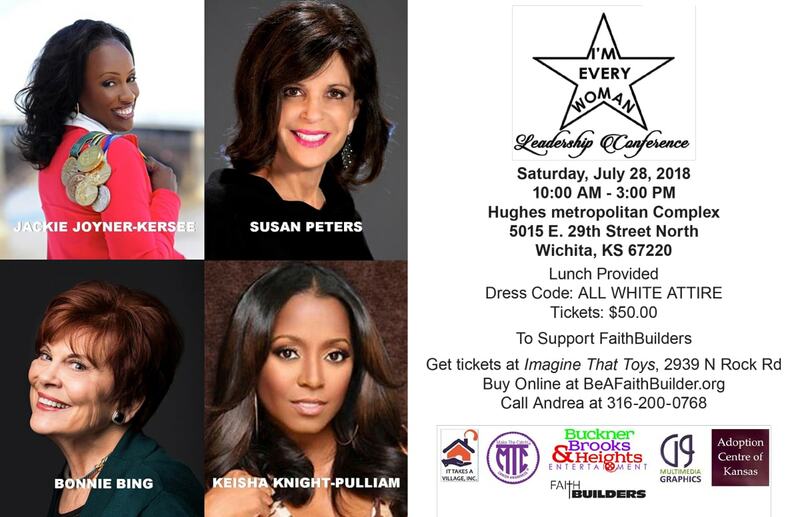 Last year we heard powerful messages from Olympic Gold Medalist Jackie Joyner-Kersee, Award-Winning Wichita News Anchor Susan Peters & Actress Keisha Knight-Pulliam (Rudy Huxtable on The Cosby Show) . There were prizes.! And uplifting music & videos of women who have overcome.